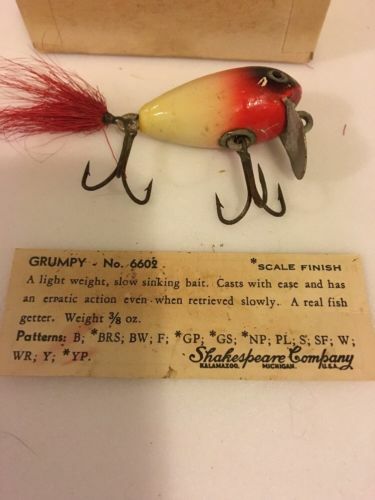 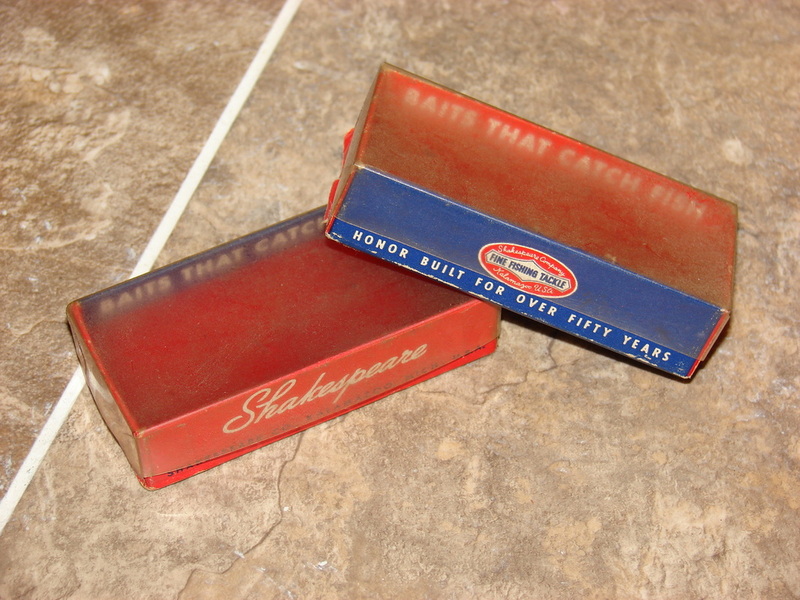 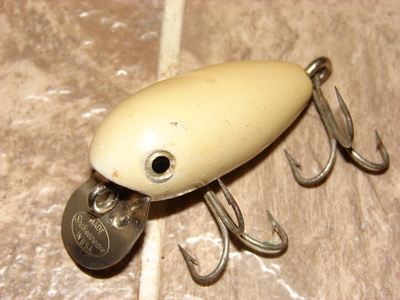 Shakespeare Grumpys were introduced in 1941 and continued into the early 1950's, probably around the time Shakespeare was purchased by Creek Chub. They are made of wood and measure 1,3/4" with a weight of 1/2 ounce. 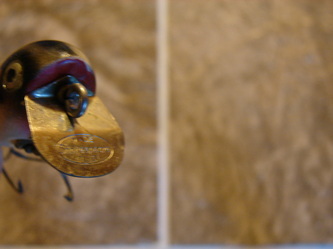 The catalog number assigned to the grumpy is 6602. 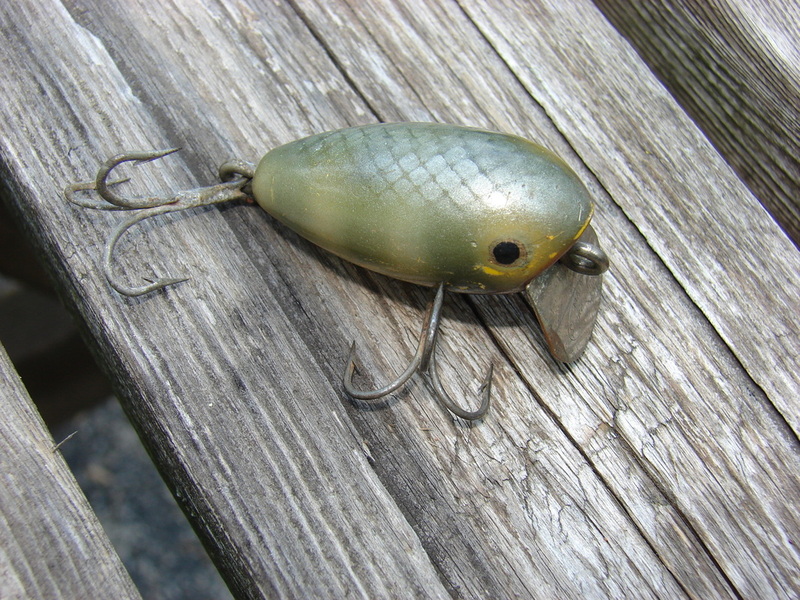 Grumpys were produced with "pressed eyes" only with either a silver or gold color with a black center. 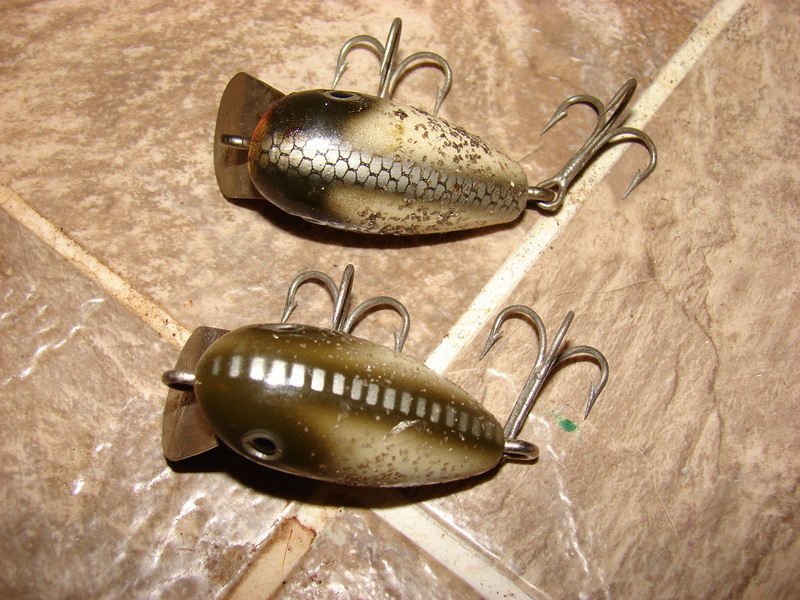 These baits sport a simple cup and screw eye belly hook fastener, a screw eye rear hook fastener and also have a belly weight present. The notched diving lip was held in place by the line tie screw eye. The diving lips are marked withthe Shakespeare Honor Built Logo. 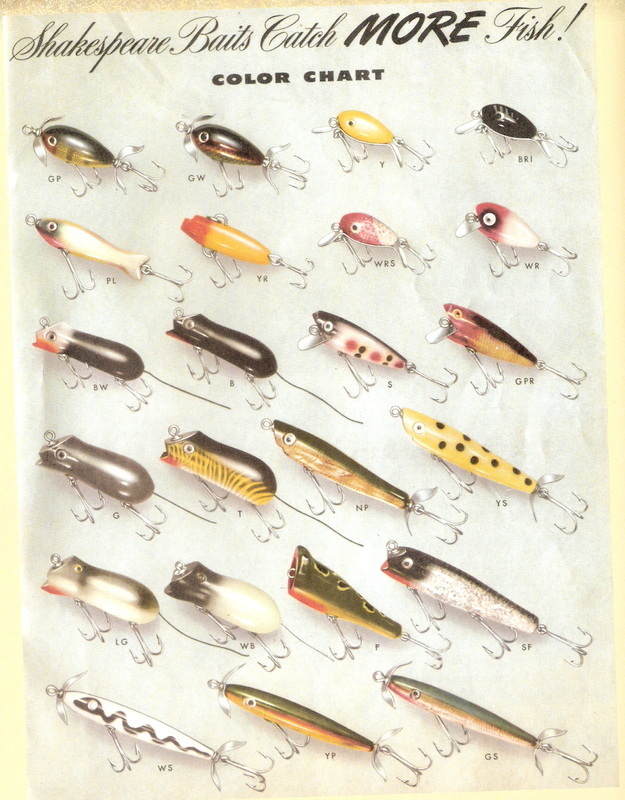 Cataloged colors include Red Head/White, Frog, Silver Flitter(green back, white belly, silver flitter), Green Perch, and Yellow Perch. 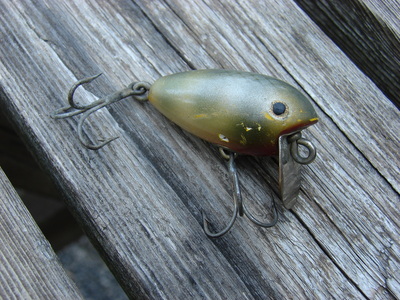 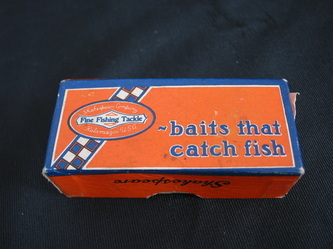 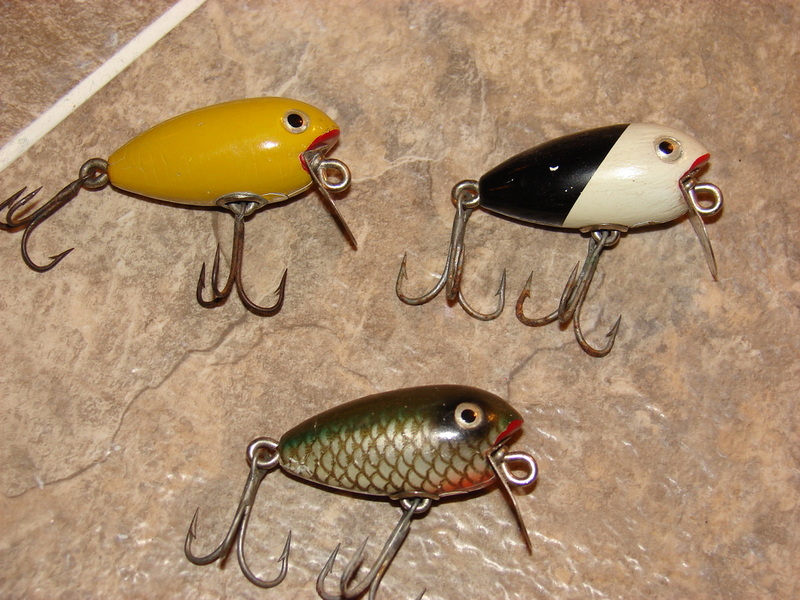 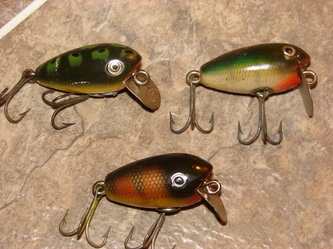 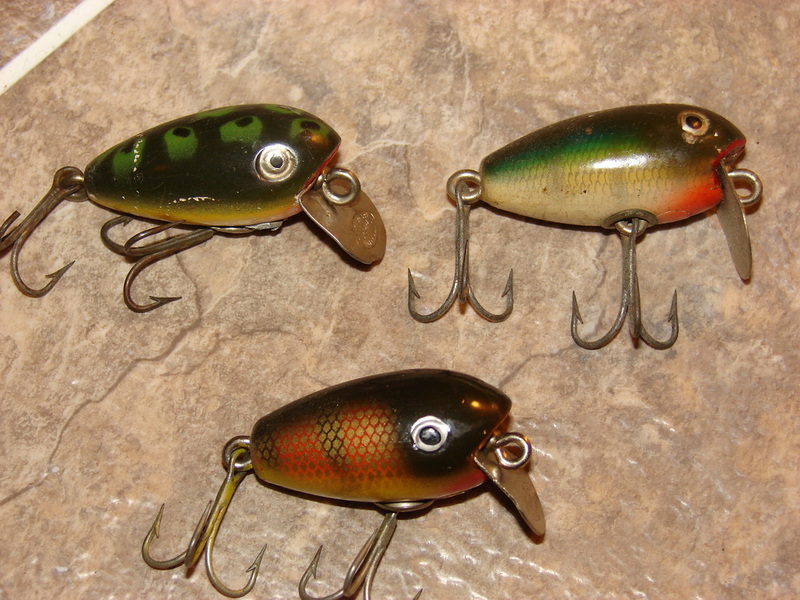 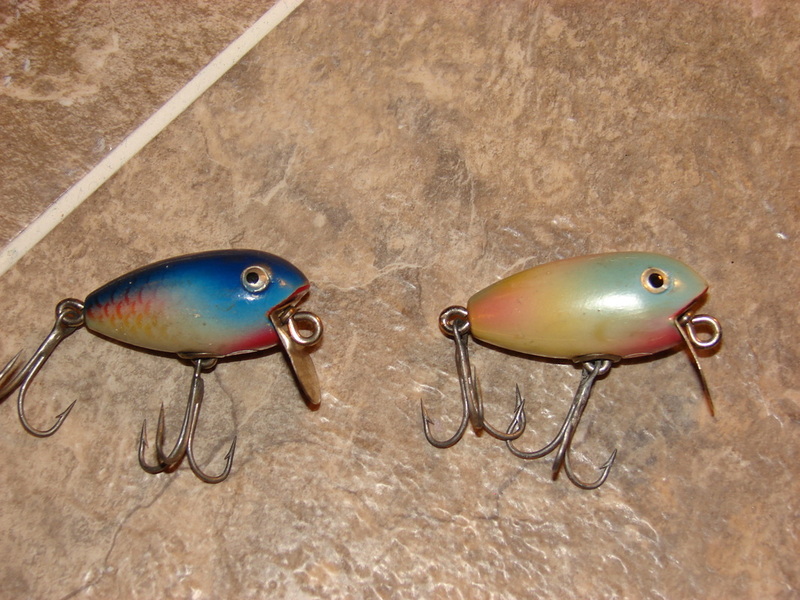 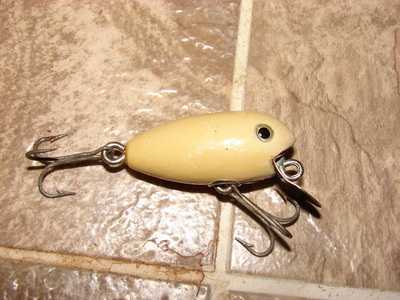 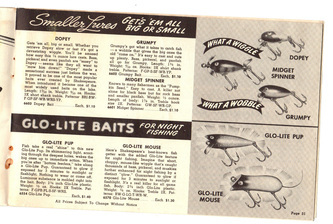 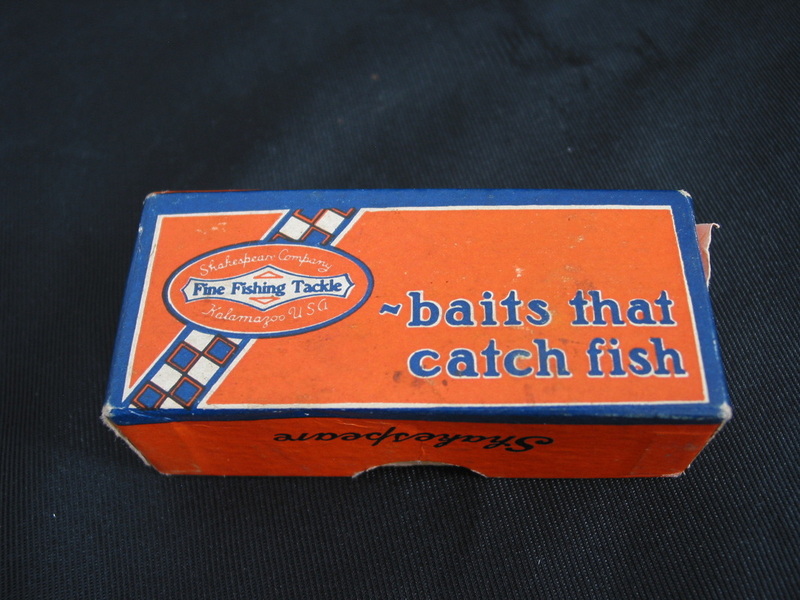 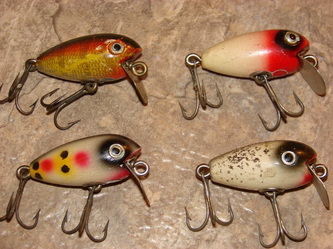 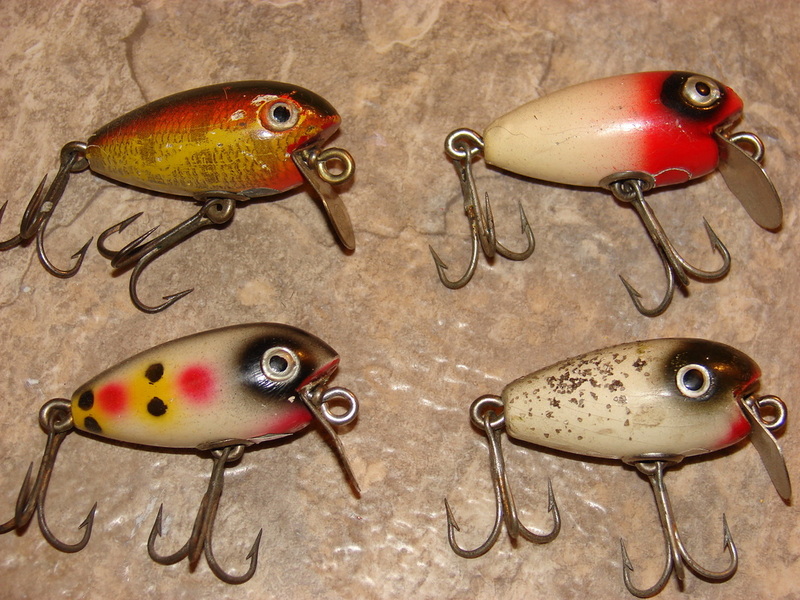 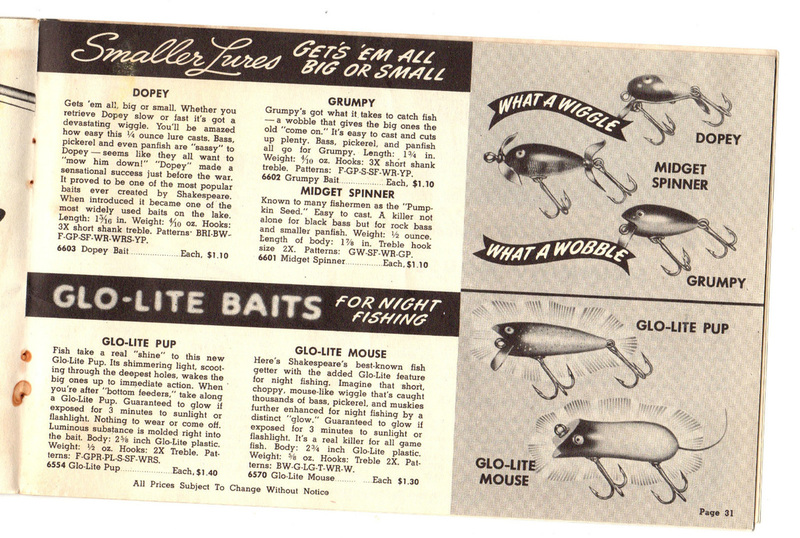 As with most baits, uncataloged patterns are present. 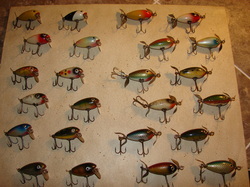 Pictured below is my collection of Grumpies showing all the cataloged colors as well as a few tough uncataloged patterns. 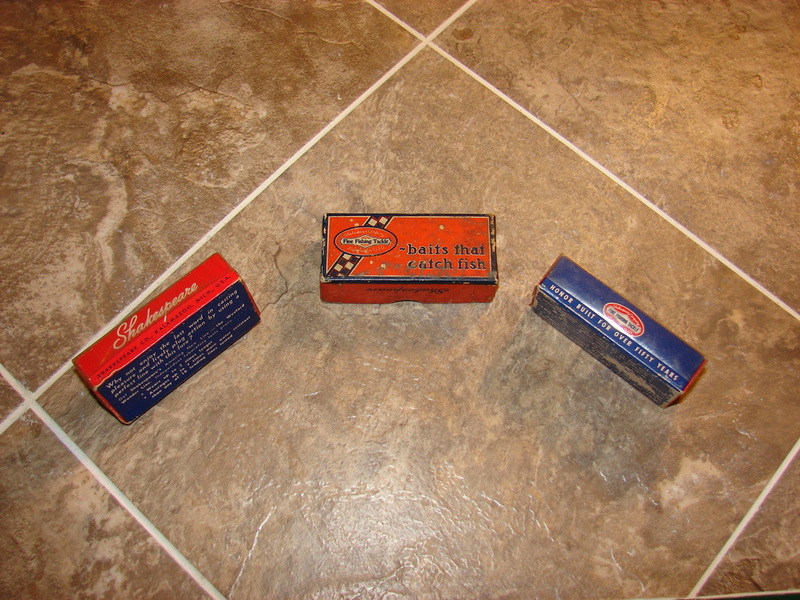 Boxes include the earlier cardboard box and then the later plastic top/cardboard bottom and are shown below.